Ever find yourself or your society sliding inexorably backward toward a dystopian hellscape reminiscent of Europe’s Medieval Dark Ages? Ever feel like the forces arrayed on the horizon of liberty are gathering like the coming of a long and merciless storm? Ever nurse the simmering fear that you might rise one morning to find that you no longer draw free breath, say free words, think free thoughts? Buddy, you’re too serious! What you need is a good old dose of catharsis. Try these gut-busters. You’ll laugh, you’ll cry, you’ll have something to talk about during your mandatory annual loyalty test. OK, you knew I was going to say it. You did. But seriously, have you actually read it? Go do it. I’ll wait. If your system isn’t good for people, change the people. It’s efficient! In a warped future America, mass-produced citizens inhabit pre-made social strata, kept there by brainwashing, genetic engineering, and physical reward. However, like all precision machines, a grain of sand in these works can initiate a total system breakdown. When an outsider penetrates the mechanics of this Brave New World, it will show itself to be anything but. Canticle for Leibowitz by Walter M Miller, Jr. The end of the world has already come. Welcome to the post-post-apocalypse. Society is gone, replaced by a social system deathly afraid of the technology that caused the demise of civilization. But in one abbey, a group of dedicated monks preserve the writings of ancient pro-science sage Leibowitz, who may still, one day, become a saint. Hannah Payne is a criminal. It’s written on her skin, which has been genetically altered to show the world her crime: red, for the murder of her unborn baby. For the crime of abortion, she becomes simultaneously a pariah and the source of entertainment for a world both repelled by and deeply invested in sin. A modern revisioning of The Scarlet Letter! Categories: Books, Dystopian, Science Fiction | Tags: 1984, brave new world, canticle for leibowitz, Dystopian, Dystopian Fiction, handmaid's tale, when she woke | Permalink. In the not-too-distant-future, the rich ride private jets while the middle class exists on an economic tight wire. The stakes: a disastrous fall into credit ruin, after which access to steady work, the corporately funded schools, housing, and even healthcare is essentially nonexistent. Bands of these financial exiles roam America in their derelict SUVs, eagerly taking day labor when they can find it and continually being routed from their makeshift camps by privately funded police forces. But when a leader emerges from the ranks of the subprimes, the vagrants’ miserable lot finally has a chance to metamorphose into something good, if not opulent. Mysterious savior Sargam advocates fair treatment and financial liberty, but will the system allow her to survive? Or will a giant, televangelist-backed oil rig mow down her followers before the world’s hungry eyes? To call The Subprimes political is probably a bit of an understatement. If you consider global warming one of your key issues, you’ll enjoy the book’s atmosphere, which is stiflingly hot and choked with smog. If you rooted for Occupy Wall Street, even quietly, you’ll probably like the big showdown. But, even for a satire, The Subprimes is abrasive. Strangers to Greenfeld’s liberal philosophy may feel roughly used by his heavy-handed moralism and by immediate, unrelenting immersion into a world where capitalism, backed by big-business Christianity, has plunged everyone into an earthly facsimile of Hell. It’s hard to imagine this aggressive style winning many converts. But the book’s greatest weaknesses also shine as its selling points. 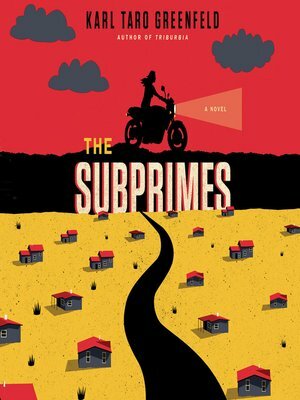 The intensity of the subprimes’ desperate world give it an urgency that is recognizable to anyone who has had to scrimp over the past ten years. Though the book takes trends like privatization and big business tax breaks to the extreme, they are recognizable as caricatures of the evils of our own world. The utter hostility of Greenfeld’s America is plausible and his writing chops support it. It takes a fine writer to weave humor into coyote attacks and debt rehabilitation camps, and, believe it or not, Greenfeld often pulls it off. The book’s cautiously optimistic conclusion helps to redeem its bleakness, and in doing so, it leans heavily on the older, kinder roots of the televangelist villain’s twisted spirituality. The final chapters suggest a softer message than the first two thirds of the book: that there is good buried deep beneath the oil rigs and the busting markets and the tracts of foreclosed houses. That, after all, we may still be redeemed. 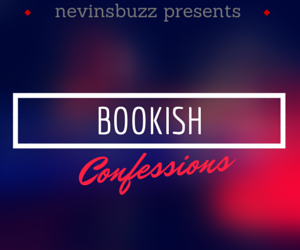 Categories: Books, Satire, Science Fiction | Tags: Dystopian Fiction | Permalink. This book review is by our teen contributor, Abigail. DIVERGENT is a science-fiction novel set in a dystopian Chicago. The plot follows 16 year-old Beatrice Prior, a curious girl with a wandering heart. Her residential city is split into five sectors, each belonging to a different “faction.” Beatrice is born into Abnegation, the selfless faction. However, there are 4 other factions: Dauntless, the Brave; Erudite, the Intelligent; Candor, the Honest; and Amity, the Peaceful. The story opens up with Beatrice anticipating the dreaded school day ahead of her at her bland, cold home. At school, she must take the “Aptitude Test.” The test is a simulation that wires your brain to make decisions that link to more intense decisions. After taking the test, Beatrice is told by her test administrator, Tori (a Dauntless), that she is Divergent. Being Divergent means that your mind can’t be controlled; that you belong in more than one faction. In Beatrice’s case, she has aptitudes for Abnegation, Dauntless, and Erudite. But which will she choose at the Choosing Ceremony that night? After making her decision, Tris later finds out that the main antagonist (Jeanine Matthews, leader of the Erudite) is out to kill Divergents, to make their society become more stable and under-control. Will she succeed? ********** My Rating: 4 Stars Common Sense Media’s Rating: 5 Stars I give this novel a well-deserved 4-out-of-5 star rating. I love this trilogy, because as you get deeper into the series, there is a definite gain of self-discovery that encourages girls to be brave, be courageous, be intelligent, and overall, be themselves. Character development was thoughtfully planned, and as Beatrice realizes that she’s more than a “Stiff” (tease for the Abnegation children), the reader gets to realize that with her. As I read the book, I slowly started to connect with the characters, and if a book doesn’t do that to you, then the author isn’t doing their job. So, why don’t you go to the Nevins Memorial Library this weekend and pick up a copy? Especially with it’s sequel, Insurgent, already in theaters! Categories: Books, Science Fiction, Series, Young Adult | Tags: Divergent, Dystopian Fiction, Veronica Roth | Permalink.